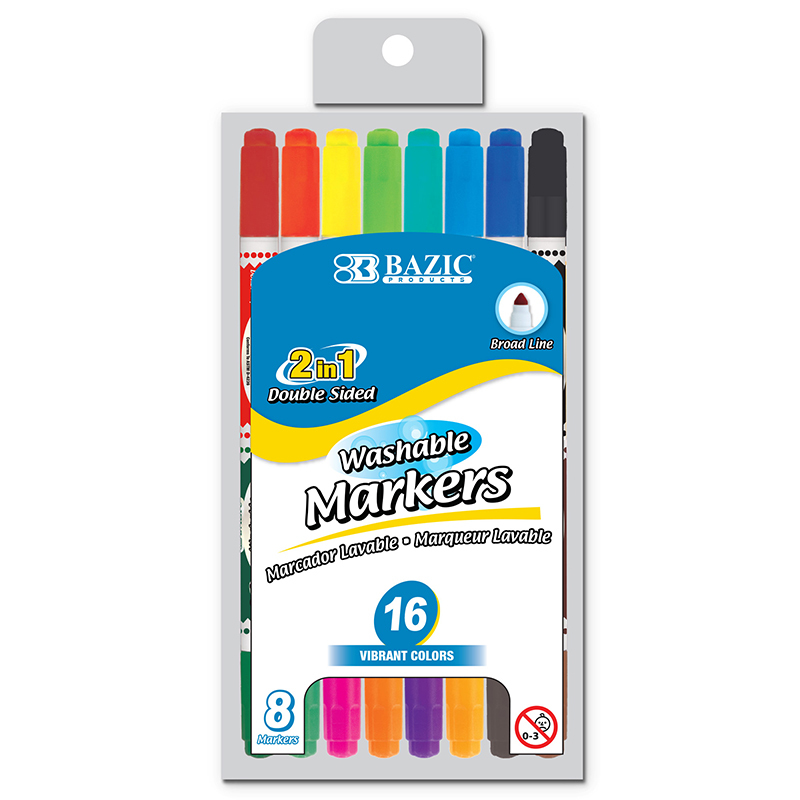 This set of broad line washable markers is perfect for coloring and drawing. Each marker has 2 tips, 1 on each end with different colors. 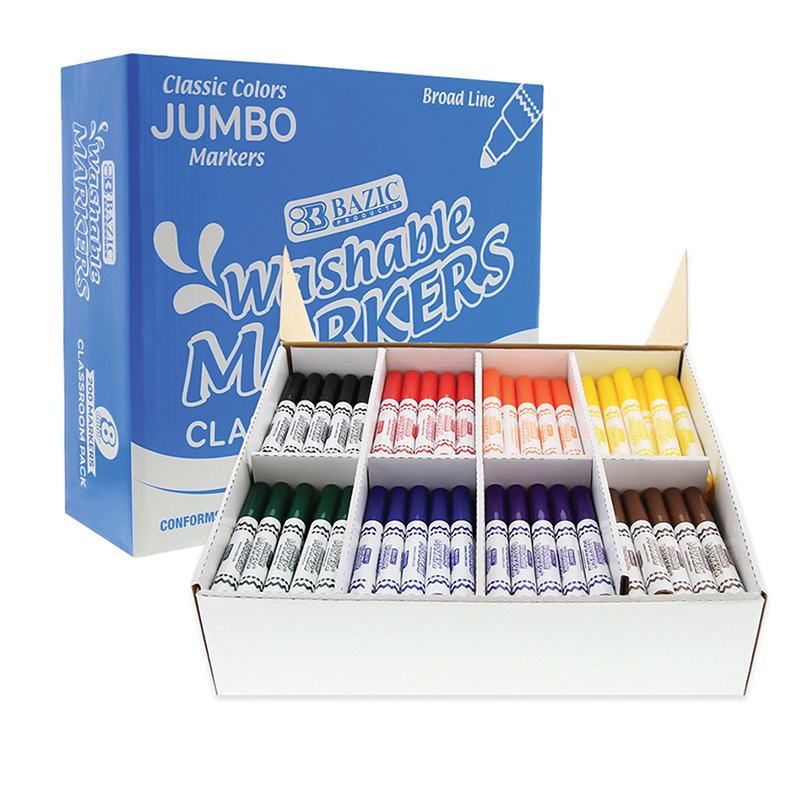 Includes 10 markers for a total of 20 colors: plum, red, gray, pink, yellow, orange, leaf, blue, brown, berry, lemon, light blue, green, black, brick, turquoise, mustard, pine, rainstorm, and cinnamon. Conical fiber tips (like a cone shape) allow the artist to draw fine line when using the tip in vertical angle, and broad line when using the tip in tilted angles. Wash & Care tips: most clothing can be washed in warm or hot water. Do not use pre-wash or chlorine bleach, repeat laundering if necessary. 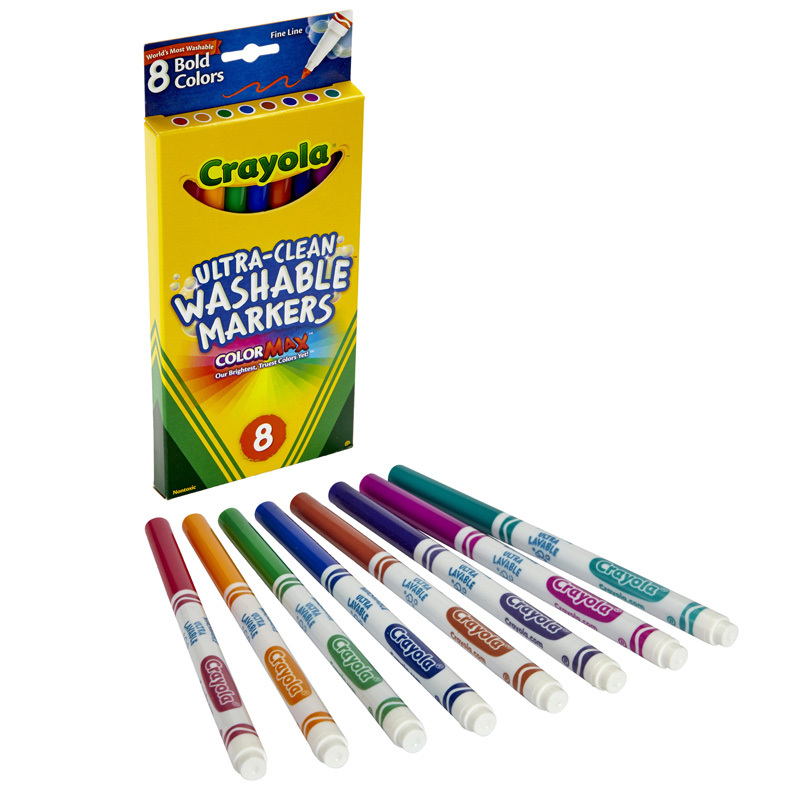 The Washable Markers Double Tip 10 Clrs can be found in our Markers product category within the Arts & Crafts.